Story is a term that has been misunderstood and misused by screenwriters for years. The truth of the matter is that most novice writers’ ideas for a screenplay don’t, actually, qualify as a story for a screenplay. At the beginning of each screenwriting class I teach, I ask my students to tell me what they want to write their screenplays about and I find that most of them want to write about one of two things; some wild experience that they’ve had in their lives or something within a genre like a sci-fi post apocalyptic young adult fiction story. Now, I don’t have a problem with either of these as elements of your script, but the fact is that neither one of them is an actual story. The issue is that these ideas fall under that category of a concept, not a story. We’ve all heard the term High-Concept and that’s exactly what these ideas are. A high-concept is something that has an original premise and mass appeal. This is something that we see in movie trailers and on posters. This is the element that makes someone want to go and watch a movie. It’s seeing all the action in a super-hero movie or the neat twist of a romantic comedy or the intensity of a drama. The premise has to be interesting. It has to be dynamic. It has to make the viewer want to see what is going to happen. The bulk of major movies we go see at theaters have a great premise. This is an imperative part of writing a screenplay but alone, it is not enough. These two items blended together make up a story that qualifies as a screenplay. Think of them like a cake and icing. The actual cake is the story and heart of your script. The icing is your concept. It’s what people see that makes them decide whether or not they’re going to buy the cake. However, it is imperative that when they bite into the cake, that it tastes great, otherwise, they’re not going to like it. The most common mistake screenwriters make is they come up with their concept first and then attempt to find a way to add some emotional meaning into it. Staying with this cake analogy, let’s take a look at what we should focus on first. Does it make sense to come up with amazingly designed icing (high concept) and then try to find a way to bake a cake (emotional story) that fits within it or does it make more sense to come up with a great emotional story and find a way to come up with an amazing concept that fits perfectly around it? Obviously, it’s the later. It would be near impossible to form your icing and then find a way to come up with a cake that fits perfectly within it. This is the reason that I believe it is imperative to come up with a powerful emotional story that you want to tell first and then figure out the best, most entertaining concept to tell it through. In Captain Marvel, Carol Danvers is a Cree Warrior who has amnesia and doesn’t really know who she is. Throughout the story she has little glimpses of her previous life and eventually finds out that she is human and then all the aliens think of this as a weakness because humans are not as physically strong as the they are. They believe they are going to defeat her because she is a weak human. This is shown over and over during the film through examples of her failing at many things. She wrecks her go-cart as a child, she falls down from a rope during military training, and she crashes her plane. But, at the end of the film, they show her get up after every failure and try again. They show that being human is not a weakness because of the strength of the human spirit. This is what makes her stronger than all of the aliens. I remember watching this in the theater and nodding my head. I was excited when they showed it. I was energized. I felt it. That is the power of an emotional story. I went to this movie to watch some really cool action and battles but when I was there, I got a nice little emotional boost. I felt the power of the human spirit and I felt like I could overcome failures in my life too. Keep in mind, that this part of the movie has very little to do with super powers or action sequences. This has to do with emotion, with someone learning who they are and how that only makes them stronger. This is a lesson that everyone should have. It’s something that everyone should celebrate. Just google the term to see how many quotes and images speak of the power of the human spirit. Also, keep in mind that I have zero interest in going to watch a movie about the human spirit. I don’t want to be preached to. I don’t want a lecture. I want to be entertained. I want excitement and fun. But, if you wrap that lesson up in the middle of an exciting, entertaining action movie, I’ll love it. You got me. Unfortunately, there are a ton of movies that get made without a great emotional core to them. These are the movies that we watch and instantly forget. These are the ones we warn our friends not to watch because they make no impact on us. However, a great emotional story told in a highly entertaining way will win our hearts every time and get us to advocate for our friends to go see the movie too. So, to avoid Mistake #1, make sure your screenplay idea has a great emotional story told in a highly entertaining way. Once you have that, then you can begin writing your screenplay with the confidence that it has a chance at being a successful movie. 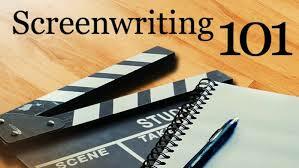 Lovinder has taught screenwriting and film production for over 15 years. He’s written, produced and directed two feature films that both won Best Picture Awards at film festivals and has four produced feature film screenplays including Lost Stallions: The Journey Home starring Hollywood Legend Mickey Rooney and Ball & Chain starring Kal Penn. Lovinder has also written, produced and directed documentaries all over the world including in Nepal on Mt. Everest, India, Guatemala, Bolivia, Canada and, of course, the United States. Lovinder obtained his MFA in Screenwriting from Hollins University and his BFA in Film from the University of North Carolina School of the Arts. Lovinder is an alumnus of the Squaw Valley Screenwriter’s Workshop and has also been a finalist in the Austin Film Festival Screenplay Pitch Competition. Lovinder’s script Strawberry Lassi was chosen for the Development Program with the International Screenwriter’s Association and he has multiple screenplays that have placed in script competitions. Lovinder’s short script The Trail of the Yellow Ribbon was published in an anthology in 2018. Lovinder continues to be active in the film industry and has recently been hired to adapt a novel into a screenplay.